Review: Let’s get this out of the way right now: The ski mastery of reference in Crackle’s Rob Riggle’s Ski Master Academy is not of the winter sports variety. Instead, it’s jet skiing; and technically, it’s watercraft maneuvering, as “Jet Ski” is a specific personal watercraft brand. And this particular brand of minutiae is the type of thing you’ll find yourself stuck thinking about for far too long while and after watching Rob Riggle’s Ski Master Academy, like an earworm of the dumbest, most inconsequential order. (That’s on top of the musical earworm in the form of the opening credits, which you’re not going to want to skip both for ‘80s/’90s credits homage reasons and integral jokes of their own.) And for that reason alone, Rob Riggle’s Ski Master Academy just might be an absolute success for Crackle. There is an art to making a well-made and intelligent “dumb” comedy, which Rob Riggle and Rob Riggle’s Ski Master Academy genuinely understand. And a major key to that in something like this is to understand the genre you’re tackling. Childrens Hospital and Burning Love were (and might always be) the pinnacle for Abominable Pictures series in this particular vein, while NTSF:SD:SUV and Horrible People were arguably the high-to-low midrange, respectively—with Rob Riggle’s Ski Master Academy veering rather close to that high midrange. Filthy Preppy Teen$and the Alison Brie-led Hot Sluts were honestly at the bottom, though the latter at least had a better handle on the general concept it was going for. The other difference between Rob Riggle’s Ski Master Academy and those other projects, however, is that those were short-form projects (except for Filthy Preppy Teen$), never hitting the 20-plus minute range. 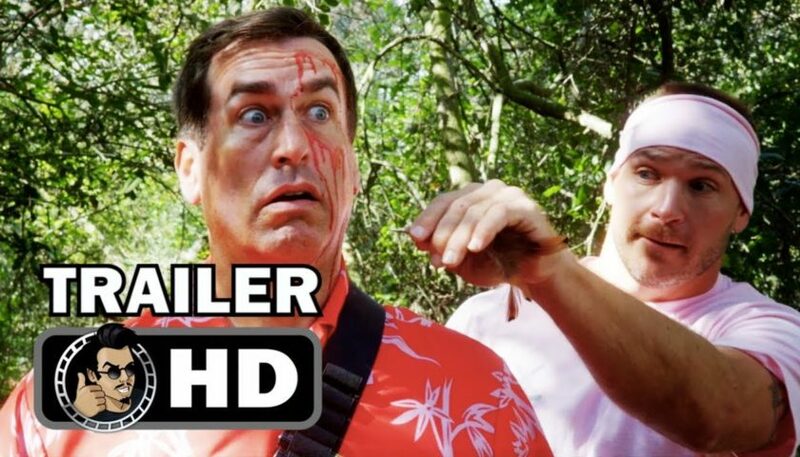 That this show is able to sustain the more standard sitcom length in eight solid episodes when it has the sensibilities of series half its length is a testament to the talent of Riggle and the entire cast and creative team behind the series.